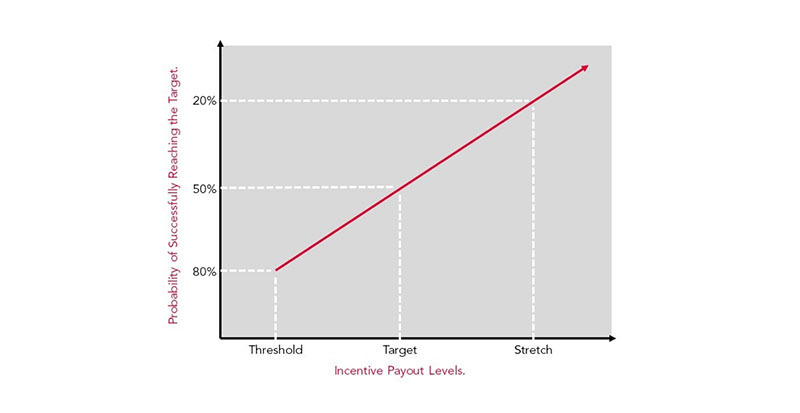 In the next step of our journey to help non-reward professionals understand the concepts of reward we’re taking a closer look at how you can build an effective ‘Sales Incentive Plan’ – one of the more complex types of variable pay discussed in our last piece. Effective incentive plans and commission-based reward strategies are a key cog to the well-oiled wheel of a successful sales team but if your Sales Incentive Plan isn’t well thought out or correctly implemented it can be detrimental to your success. There’s no doubt that nailing your ‘Sales Incentive Plan’ is a difficult balancing act between your organisation’s stakeholders but in our experience, we’ve found specific approaches that help people focus on the key elements of delivering a meaningful return on your investment. We’re happy to let you in on a few secrets to developing an effective ‘Sales Incentive Plan’ based on our experience in guiding some of Australia’s largest sales teams. Don’t get too ahead of yourself. Before jumping straight into the design phase of your ‘Sales Incentive Plan’, take the time to determine what you want it to achieve – be transparent with senior leadership so everyone understands the expectations of your plan from the outset. By achieving one of the above objectives, the influence of your ‘Sales Incentive Plan’ should be positive. Along the way, ensure that you are critical and honest of your appraisal whilst understanding that there are a wide-ranging number of factors that can influence your sales outcomes. 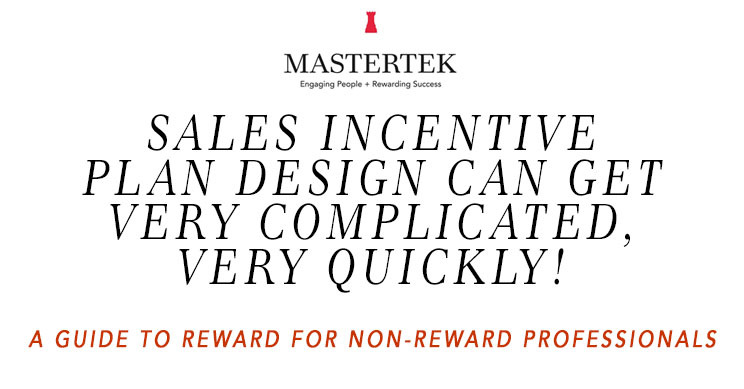 Remember, no ‘Sales Incentive Plan’ will immediately deliver results. It is unrealistic to think that your ‘Sales Incentive Plan’ can magically empower your under-skilled sales team to sell a poor product – there is no substitute for good products and great leadership! After taking the time to identify your objective(s), it’s time to consider the key elements that will form the basis for your plan design. A good starting point is drawing up your list of key performance measures – although some of these will be discarded later it’s crucial to assess the “what ifs”. To get the creative juices flowing, why not host a brainstorming session? Take it beyond the boardroom table of senior management and ensure your idea baking is undertaken with a good cross-section of the organisation. Break free from the comforts of your own department and draw on the differing perspectives of everyone – mix HR, Sales and finance for example to see how they each determine high-performance. Volume-based Measures – e.g. : productivity measures, number of units sold, customer numbers signed. Value-based Measures– for example revenue generated or profit margin. Quality-based Measures – for example customer satisfaction or compliance rates. Different people in different departments will assess high performance in different ways, make sure you consider what type of behaviour or objectives you want your ‘Sales Incentive Plans’ to encourage. The key here is to keep things as simple as possible, don’t be afraid to cull from the original list of performance measures outlined from your brainstorming session. The link between performance and pay out must be very clear. You can start this process by rating the importance of your measures based on the groupings shown in the model below. At this stage, you’ll need to critically assess the practicality of the various measures identified. You don’t need to accommodate every action or type of behaviour that you might want your staff to adhere to, so consider how your ‘Sales Incentive Plan’ works hand-in-hand with your related programs such as recognition schemes. These concepts are not mutually exclusive and should complement one another. How high do you set your targets and what do you pay someone when they hit that target? This is a touchy subject and very often the source of internal conflict, so it’s crucial that you approach with caution and a solid plan of attack. 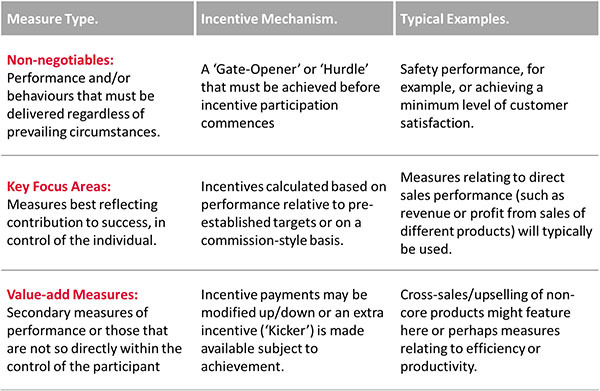 For your ‘Sales Incentive Plan’ to operate effectively, you’ll need to understand whether the performance targets (e.g. achieving sales budgets) reflect the organisation’s minimum expectations or some level of aspirational performance. To help our clients find that happy medium, we use the ‘Probability of Success’ model, as shown below. Although this doesn’t generate a magic figure to pay out, it gives people a consistent way of considering the degree of challenge behind the numbers that can potentially be supported by historical modelling and forward projections. There is no room for surprises here and it’s crucial that you get hands on with the numbers regarding targets and incentives. Model a variety of payout scenarios and vary the amount that would be delivered in incentive payments to assess the impact. How do the overall reward outcomes look from a participant’s perspective? Is the incentive likely to sufficiently influence behaviour? Do the outcomes offer a market competitive reward opportunity? Associate the payouts to revenue and profit projections; how transparent are you willing to be with your sales force? There are many design techniques that can be utilised to optimise the balance between performance and payout and you’ll want time to explore them in detail. This is where incentive plan design can get very complicated, very quickly – build plenty of time into your project plan to avoid cutting corners. Supporting Systems; Do you have the systems and tools in place to support ‘go live’? Change Management; How will new arrangements be communicated and by whom? Leadership Readiness; Does the senior leadership need additional time and support upfront in order to champion the program once it’s rolled-out?